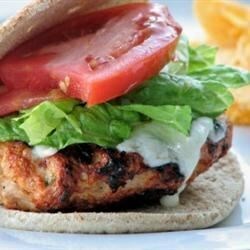 "With a chipotle chile pepper, mozzarella cheese and other seasonings, you will absolutely love this spicy, yet flavorful, burger!" Juicy burgers with a spicy kick! These are GREAT. I make tons of these and then freeze them raw to be made when we need something quick. They make a really easy, healthy quick meal when we are in a pinch.